Ubaena fuelleboriana is a Tanzanian moth. 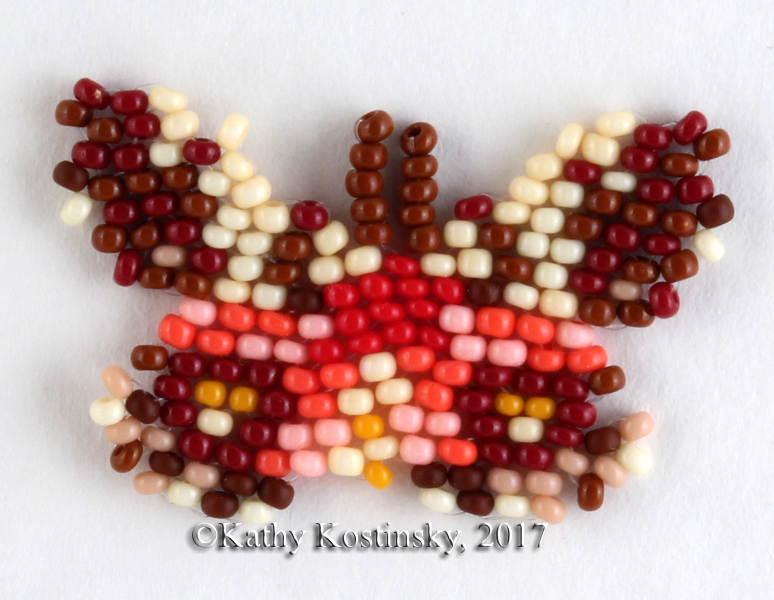 To weave this moth we’ll need fireline, a beading needle size 11-15 and 10 colours of beads (two toho palettes are given: a metal-lined beads palette and an opaque beads palette). 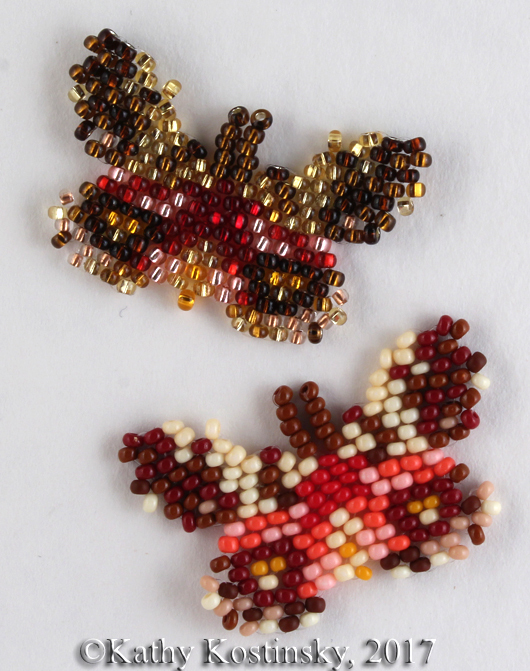 The pattern includes a photo of two finished moths (the one made of metal-lined beads and the opaque one) and 2 graphs of weaving of the insect. The thread way is shown. 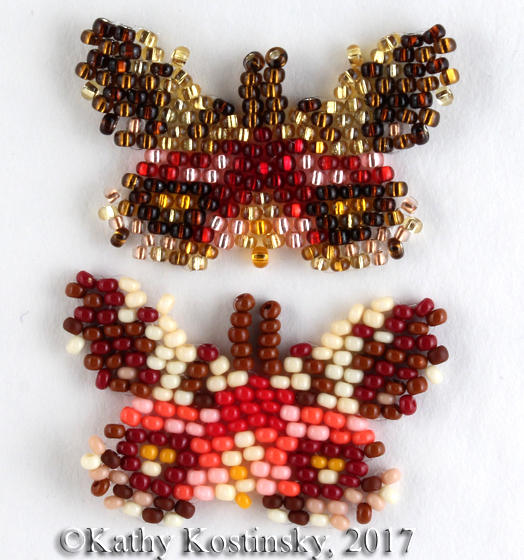 Such beaded moth can be used as a pendant, or a brooch, a hairslide, an earring. The moth is quickly and easily woven. It'll take you about an hour or a bit more to be completed. 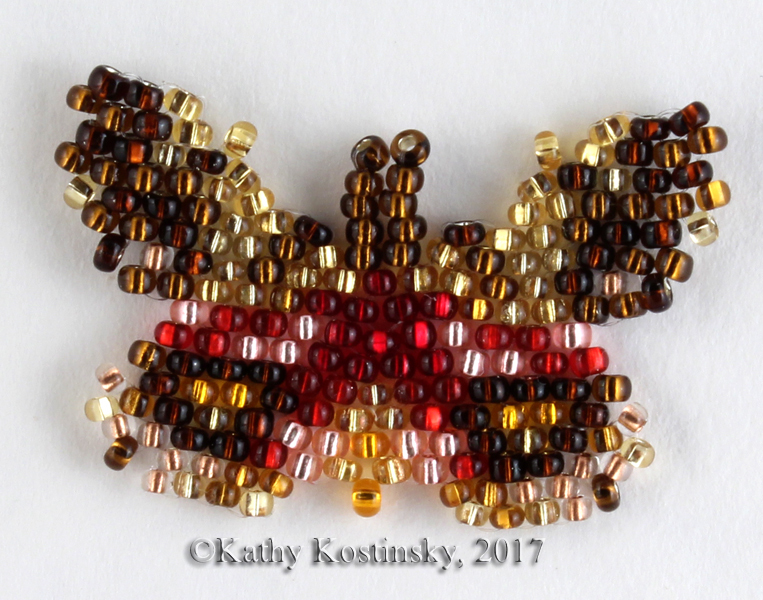 This moth pattern is a part the collection "18 Mini Butterflies and Moths of the World"